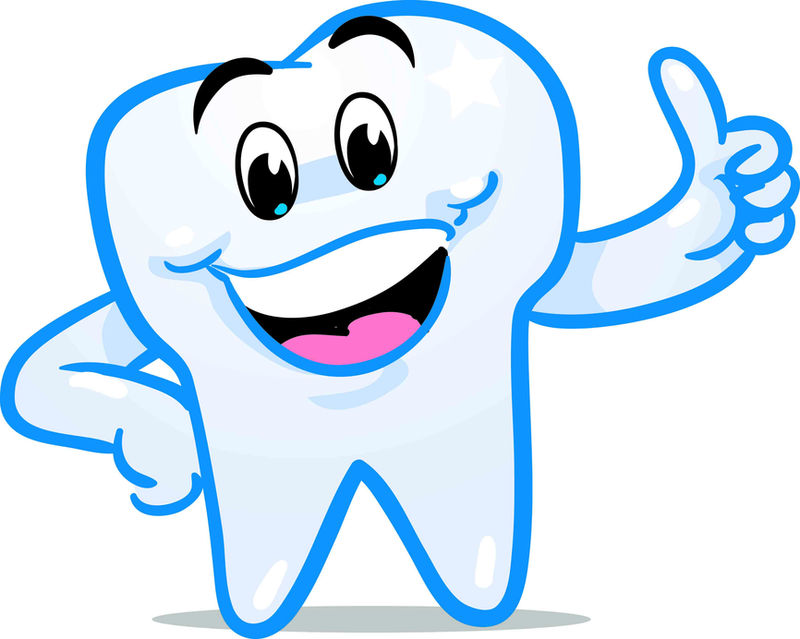 Welcome to the FIRST newsletter from Dental Health Advice! SPECIAL OFFER of the Month; Buy my new e-book and get a FREE report! This month it's "The Best Electric Toothbrush"! The toothbrush I really like is the Philips Sonicare DiamondClean. This is the Rolls-Royce of electric toothbrushes! The Philips Sonicare DiamondClean has an all-new design of brush head. It has diamond-shaped bristles that give more surface area per bristle than normal bristles. In addition, the new brush head also has over 40% more bristles than the ProResults heads used on other Sonicare models. There are 2 sizes of brush head: Standard or Compact. I recommend the Compact size for everyone! The bristles are also designed to fade in color as they are used, as a reminder to replace the head every three months. When you buy the DiamondClean, you will also get 2 brush heads, an induction charger (more on that in a minute!) and a travel case. The performance of the battery is extremely good. Philips claim up to 3 weeks of toothbrushing from one full charge! However, if you're using the brush normally at home, this capacity doesn't really matter too much as Philips recommend putting the brush in the charger anytime you're not using it. The charger that I mentioned is one of the big innovations with this brush. It's unlike any other charging unit I have seen! You get a heavy glass that looks like you could use it to rinse out with. You can use it to rinse with. BUT it's also part of the charging unit! Philips have made use of electrical induction technology in the design of the DiamondClean charger. You can re-charge the toothbrush battery just by leaving the brush handle in the glass! There's no socket or base station that the toothbrush handle plugs onto. The glass itself sits on a small mat (the induction unit) which you plug into a wall socket. Just brush your teeth, rinse out using the glass, then put the glass back on the induction mat and put the toothbrush into the glass! Charging is automatic. There's also an alternative charging method, which is really useful for when you're traveling. The DiamondClean comes with a small travel case. When the brush handle is stored in the travel case, you can plug the case into any USB outlet (like your notebook computer) to charge it up. I think that's a great idea! The Philips Sonicare DiamondClean has 5 brushing programs, so you can pick the one you like best. This Philips Sonicare toothbrush brush also runs very quietly. I think it's the quietest sonic tooth brush I have ever heard. (or not heard!). As usual for Philips, it comes with a standard 2 year warranty. There's no doubt in my mind that this new brush in the Philips Sonicare toothbrush range is the most advanced in the world at the moment. It makes use of innovative technology in the induction charger, it has a ceramic finish handle, and it has a USB charging option for when you're on the road. I love it. Click here to get your own DiamondClean sonic toothbrush! Evidence has been found that as far back as Ancient Egypt people were using primitive tools made from twigs to brush their teeth. Many countries still use twigs from trees with antibacterial properties, such as cinnamon and neem. 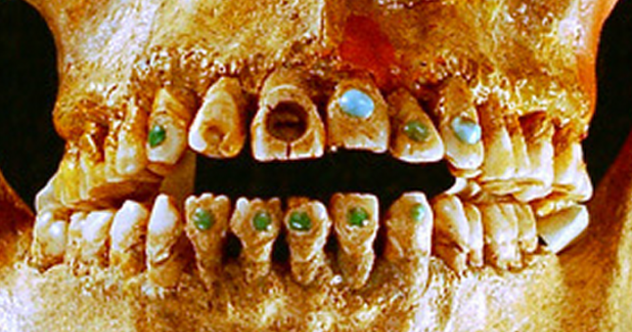 The first object closer to an actual toothbrush was invented by the Chinese. The handle was made of bamboo and it had boar bristles for cleaning teeth. As for toothpaste, the first ingredients were nothing short of nasty. People would use mixtures comprised of ash, burnt eggshells, crushed bones and all manner of gross stuff that you don’t want in your mouth. And you thought brushing your teeth nowadays was a chore! One of the most interesting developments involves painless and extremely rapid anesthetics. Normally, local anesthetics used in dentistry are quite acidic. This keeps the local anesthetic solution in a stable condition while it is in storage, or on the dentist's shelf. Then it converts to the active anesthetic when it is injected, and the acidity is neutralised by the body's tissue fluids. However, this acidity can make the injection sting much more than simply the discomfort of the needle. It's like injecting lemon juice! A recent development is to add a little sodium bicarbonate just seconds before injecting the local anesthetic solution. This makes the solution neutral, so it doesn't sting, and also the anesthetic is "hot" the second it is injected - anesthesia is almost immediate! 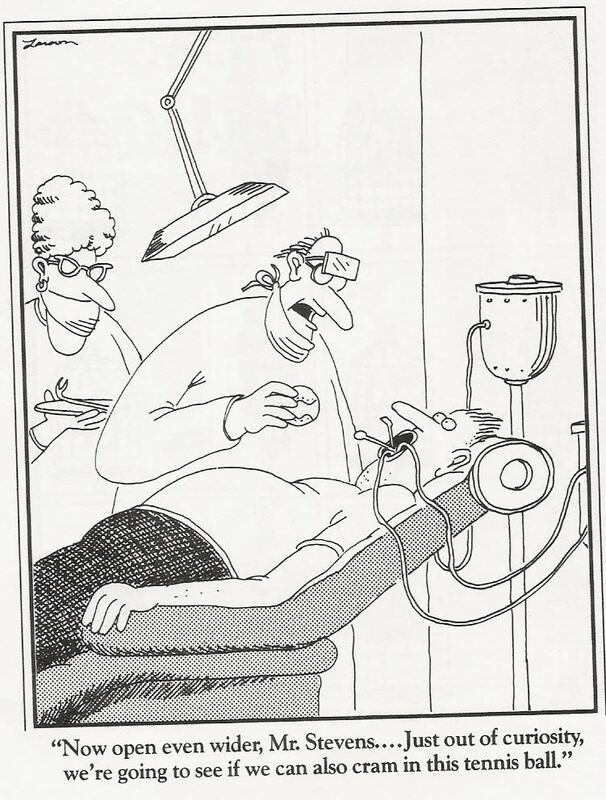 Why isn't every dentist using this technique? There are two main reasons - the first is cost . The commercial system "Onset" makes dental anesthetics quite expensive per shot. The second reason is complexity - it can be quite fiddly getting the correct dosage. However, there is a huge time saving, as there's no need to wait for the anesthetic to work; the tooth is numb within seconds of giving the shot! Add that to the huge benefit of painless shots, and it should be a winner. Maybe it just needs more time to catch on! What to do if your tooth is knocked out! If you accidently get a tooth knocked out, you need to know what to do if you don't want a gap! The first thing, obviously, is to find the tooth. It may be in your mouth still, or else on the ground close by. The next thing to do is to clean the tooth, and the best way to do this is by licking it. Don't use water! Finally, after licking the tooth clean, try to put it back into the gum where it used to be. It should fit back in fairly easily. If it doesn't fit back in easily, try turning it round - you may be holding it the wrong way round. Once you have the tooth back in, try biting gently to make sure that all your teeth fit together normally, and that the re-positioned tooth is in the correct place. After that, avoid putting any presssure on the tooth, and go to your dentist as soon as you can. The tooth will need root canal treatment quite soon, to prevent infection getting a start, and to stop the tooth from going dark. But you still have your own tooth! 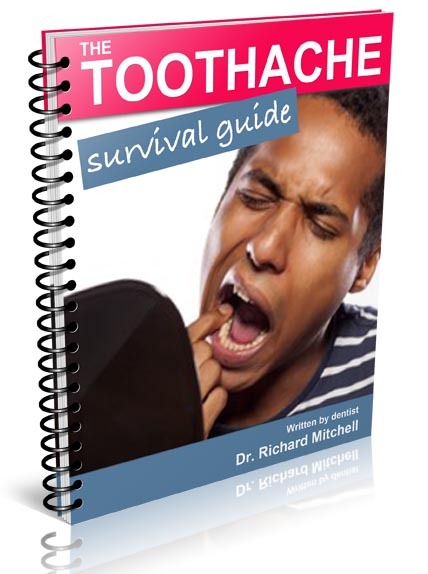 Get a FREE REPORT on "How To Find A Great Dentist" when you order MY NEW E-BOOK "The Toothache Survival Guide". Click HERE for more information. This month's focus is on diabetes. We know that if you have diabetes, you tend to get infections more easily, and you also tend to heal more slowly, among other things. If you have diabetes, you are more likely to have gum disease. Why? Because gum disease is basically an infection. But there's more to it than that. Gum disease can make your diabetes worse. Let me repeat that, because it's really important: If you are diabetic, and you have gum disease, the gum disease can make your diabetes worse! Gum disease makes it more difficult for you to maintain your correct blood sugar. So it's a two-way street - diabetes means you're more likely to have gum disease, and if your gum disease is bad enough it can make your diabetes hard to control. Read more here. What can you do? 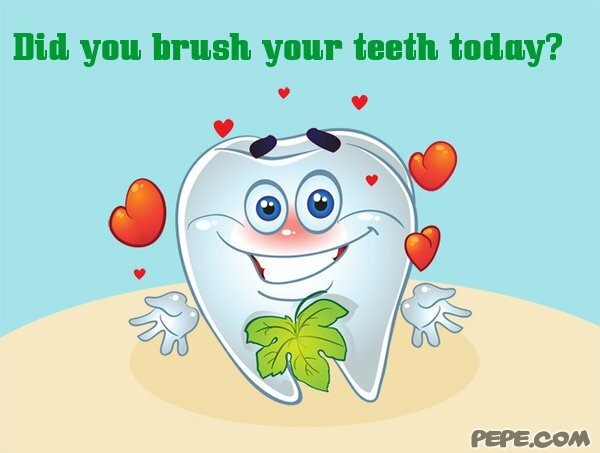 The simple answer is to deal with the gum disease! But you have to take it seriously - you have to go "over the top" with your brushing and flossing. If you can get your gum problems under control, then your diabetes will become easier to manage too. Look here for details! 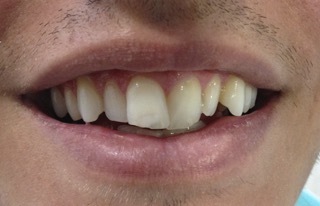 The "before" photos shows some mis-aligned teeth. 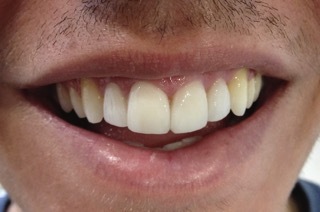 The "after" photo shows the result after some tooth whitening and then 4 cosmetic veneers. 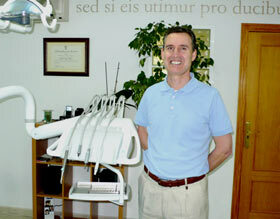 Check out more great information and before and after photos on veneers here.